Earlier this week, Adam Sandler’s comedy bar-to-clear Rob Schneider had his State Farm ad pulled from rotation, after the insurance company became concerned that his anti-vaccination statements could infect its image as a provider of public wellbeing—an image it had safeguarded by getting the message out through decades-old Saturday Night Live characters. The decision was made after careful consideration of the social media outcry, which had pointed out to State Farm that its support of immunizations was at cross purposes with a guy who believes those are the tools of the Nazis. It also came accompanied by the statement that the “ad has unintentionally been used as a platform for discussion unrelated to the products and services we provide,” rather than discussion of how hilarious the “Richmeister” still is. 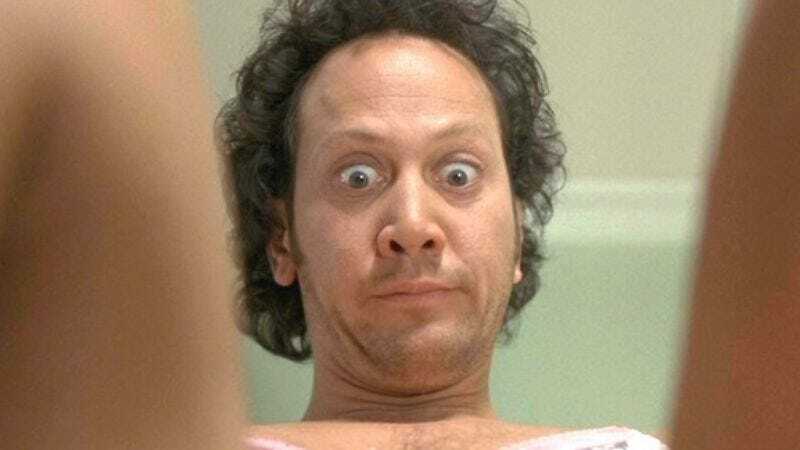 All told, it was a rational explanation of a necessary preventative measure—so naturally, Rob Schneider hated it. Since the story went public, Schneider has taken to Twitter, spreading his dissent like so much disease that was once nearly eradicated. This began with an injection of the “free speech” argument that was deemed totally safe, seeing as it’s just a placebo. Rob! Makin’ fallacies! Mistaking the constitutional protection against government-restricted speech for the right to speak without consequence from a private corporation-a-rooski! False equivalence-arino! Roooobbbbb. Anyway, besides inoculating himself against criticism with a healthy dose of jingoism, Schneider also pointed followers to “the best and most honest” article written about him—from a Dutch blogger who has also suggested that Malaysia Airlines MH17 was shot down by the U.S. and/or other NATO member states as a pretext for war. And so, by putting these weakened logical arguments into himself, Schneider has successfully prepared his body to reject all forms of them in the future.